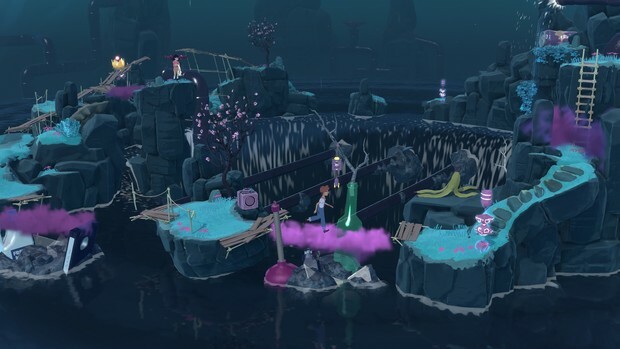 Summary: The Gardens Between is a short and sweet puzzle game where you control the flow of time. I’m ashamed to admit that I severely underestimated The Gardens Between. 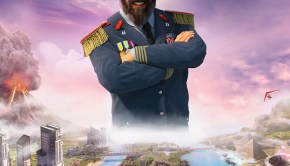 After breezing through the first few levels, I arrogantly thought I had the game pretty much summed up. 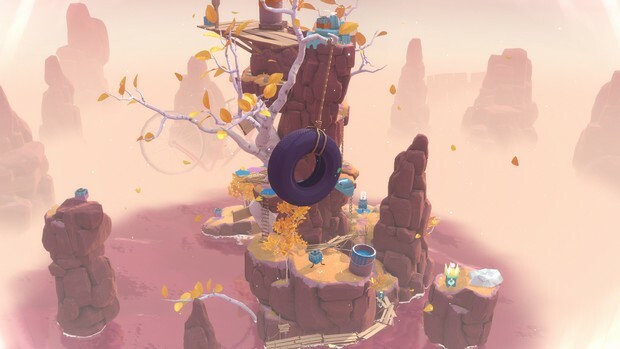 As I continued through those early levels, I could see the concluding paragraph of this review forming in my head: “The Gardens Between… looks great, let down by simplistic gameplay”. Boy, was I wrong. The Gardens Between ended up being one of the most delightful little puzzle games that I’ve played in recent memory. 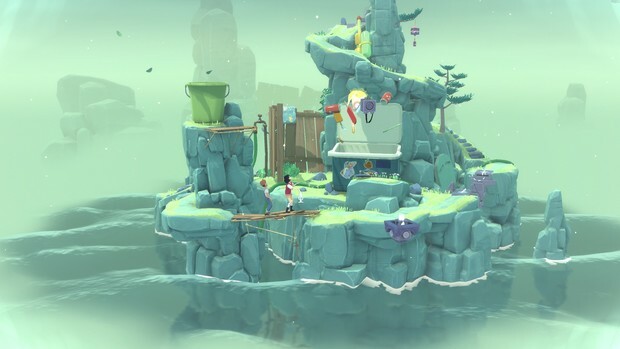 The Gardens Between is a puzzle game where the player must manipulate the flow of time in order to guide the two characters to the exit of the level. The player has no direct control over the characters and instead the two protagonists will casually follow a preset path through the level until they encounter some sort of obstruction. The player’s influence is simply limited to pausing and rewinding time, plus directing the characters to interact with certain objects in their vicinity. These seemingly simplistic gameplay mechanics concerned me at first – I mean, how challenging could a three-button puzzle game really be? As it turns out, The Gardens Between uses this three-button gameplay in some outstandingly inventive ways to create some truly satisfying and challenging puzzles. 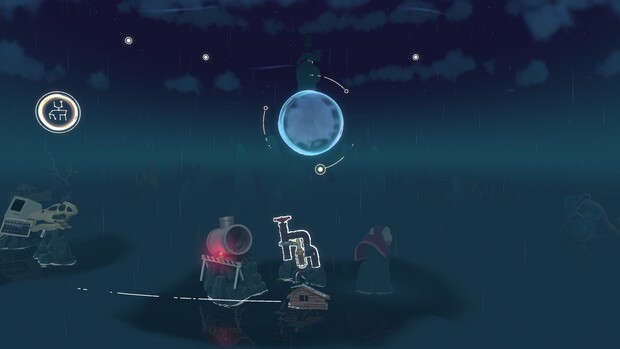 I won’t detail any solutions (because the game is tragically short), however there is a tremendous variety to the types of puzzles that you’ll encounter including levels that play with sound, environmental details and perspective manipulation. 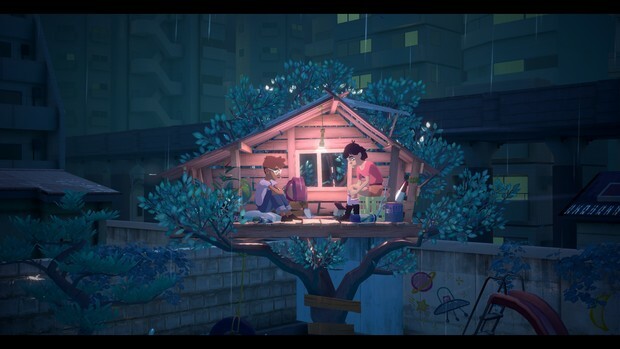 Tying these puzzles together is a rather touching narrative that recounts significant moments in the friendship of the two child protagonists. I gather that the game’s title is in reference to the garden between the two children’s houses where the pair spent many precious moments together. 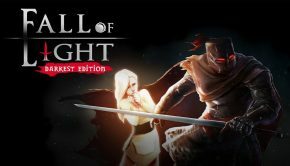 There’s no dialogue or exposition explaining the narrative, instead the game relies on detailed character animations and a tremendous music score to convey the character’s emotions and personality. As a brief aside, I’d like to give a tip of the hat to the developers for their restraint and vision in crafting the narrative in The Gardens Between. I’ll try not to spoil the story, but I will say that it doesn’t revolve around any monstrous world-ending power, nor does it reveal a tragic backstory for the children. Instead it tells a very heartfelt, beautifully human story of these two friends that is undoubtedly emotional, but doesn’t delve into anything too extreme. Maybe it’s just me, but it’s refreshing to see an indie game hold back on what could easily have been a setup for a devastating emotional gut punch. What immediately drew me into The Gardens Between was the game’s visually striking aesthetic design. 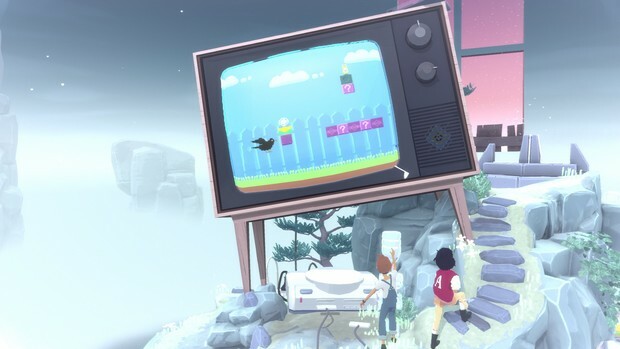 Each level is themed around a specific memory that the characters hold dear, like the time they had a sleep-over and played video games all night, for example. 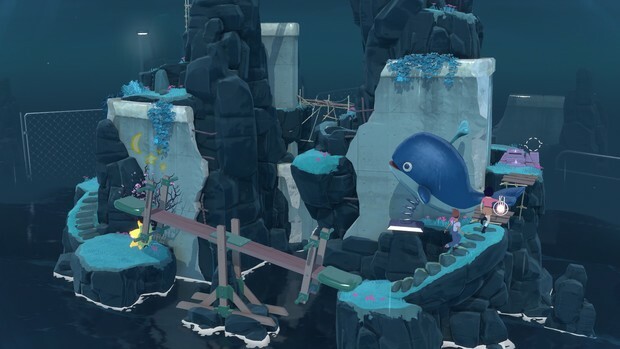 The levels are all constructed of large, rocky islands sprouting from an endless ocean with huge over-sized objects related to that theme littered throughout. These objects are often integral to the solutions of the puzzles. So for the example above, a large TV and video game system dominate the island. The characters must interact with the video game system in order to overcome the obstacles in their path to the exit. The design of these levels is exceptionally creative and immediately enticing – they compel you to explore, to move forward and to see what’s next. Combine this with the beautiful, soft, cel-shaded graphics, varied colour palettes and extraordinary character animations and The Gardens Between looks really quite phenomenal. But The Gardens Between isn’t without its faults. As alluded to before, I think the game is tragically short. It took me a little under three hours to finish the whole thing and there’s no incentive to replay the game unless you’re trying to get all the achievements. Also, I wish you could increase the speed at which you progress or rewind time. Some puzzles require you to rewind for multiple significant moments and it just felt a little too slow. It would be great to double tap the rewind button to make it move a little quicker. A minor complaint to be sure, but one that definitely stuck out in an otherwise exceptionally polished game. The Gardens Between is a real treat. 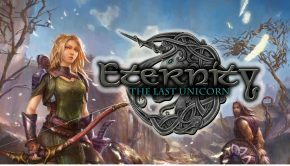 Once its gorgeously creative and visually striking aesthetic design lures you in, you’ll be captivated by the inventive, satisfying gameplay. 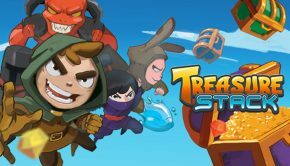 Then it won’t take long for you to begin building a connection with the characters thanks to the expressive, detailed animations and fantastic music score. 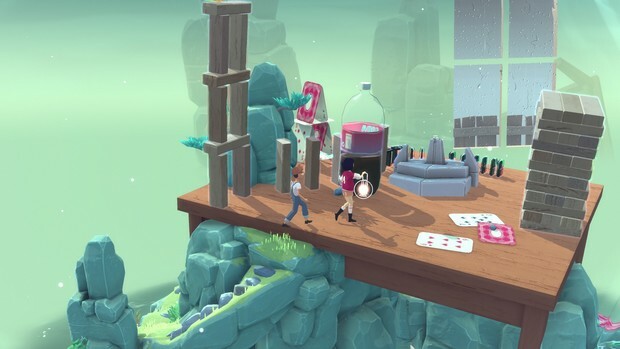 If you’re looking for a short, relaxing, simplistic puzzle game that is nonetheless wholly satisfying, then The Gardens Between should not be missed.